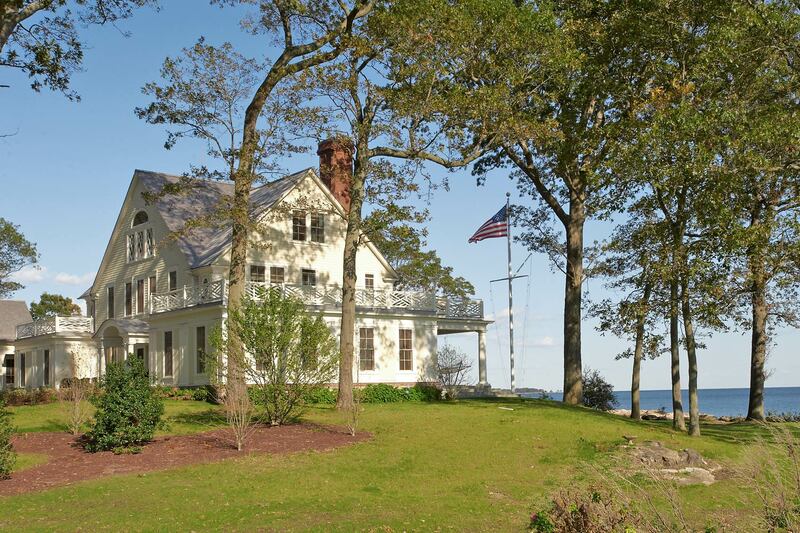 A short causeway provides access to this private wooded island, a world removed from the nearby mainland of Darien. 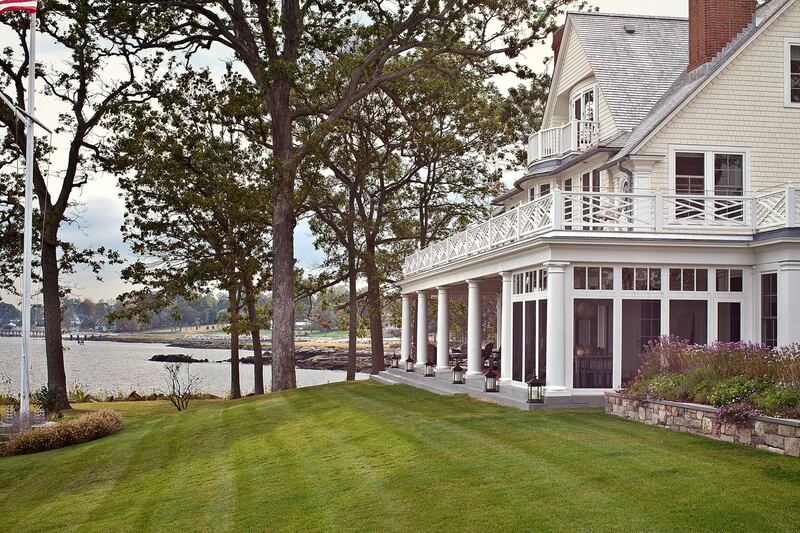 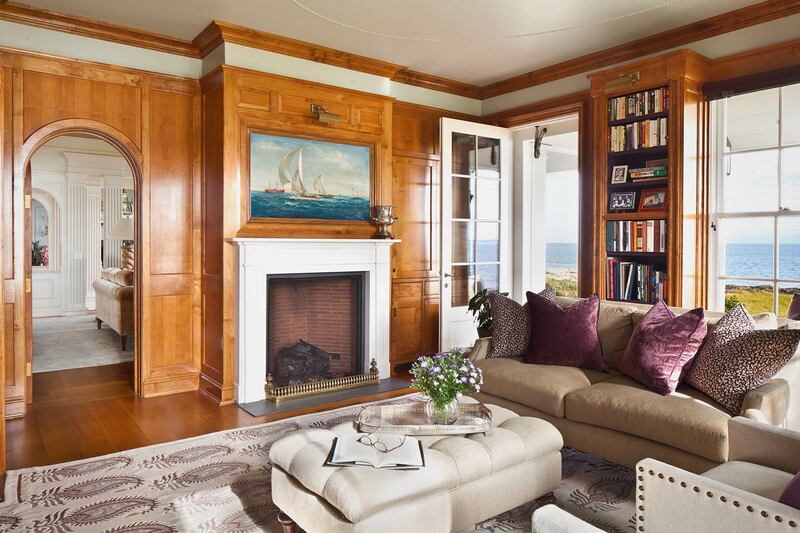 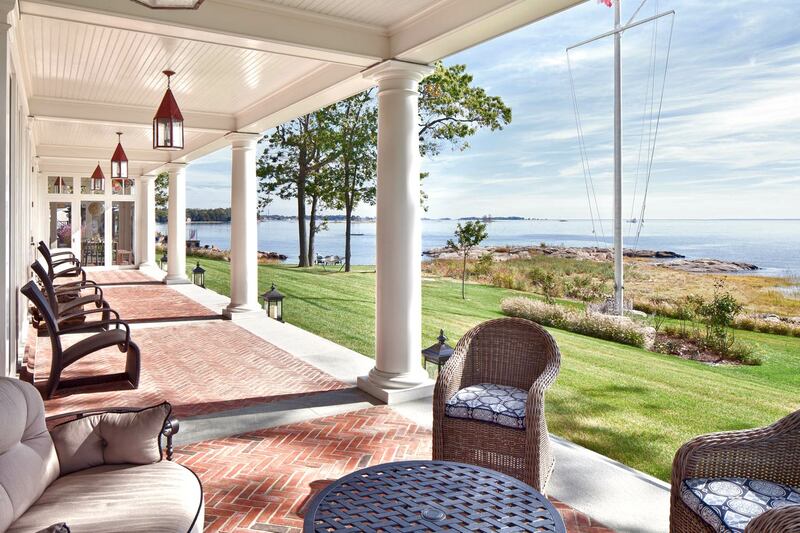 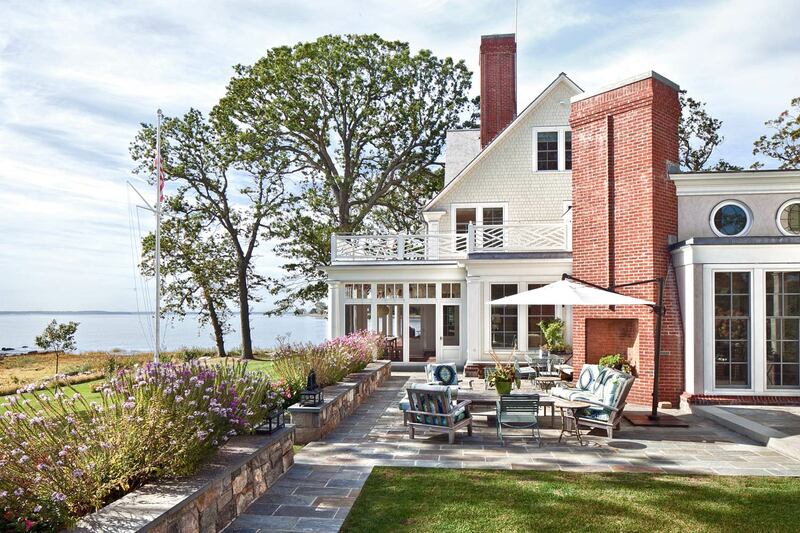 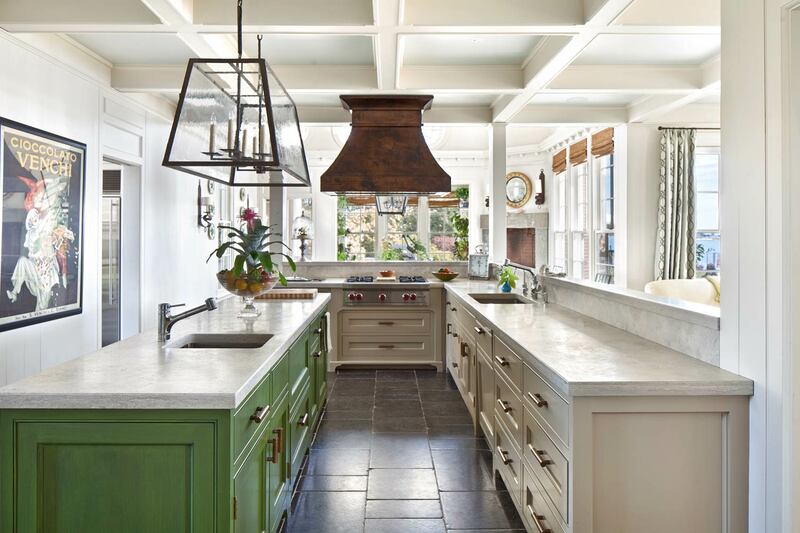 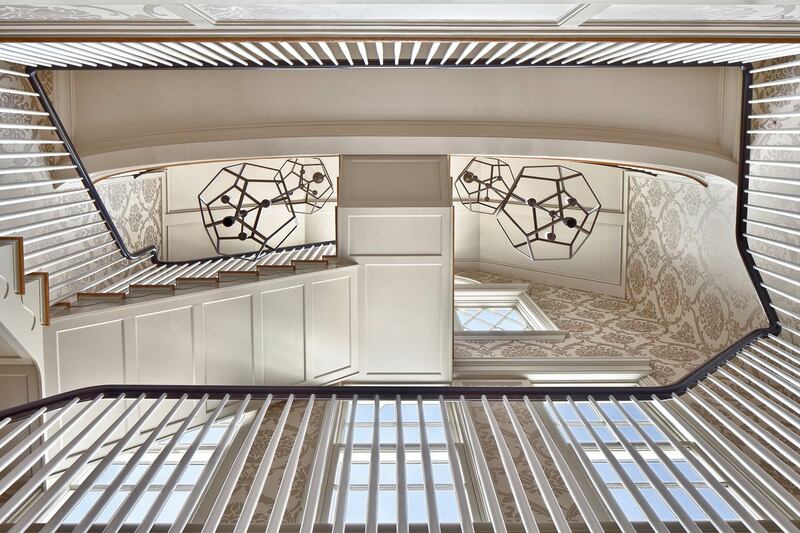 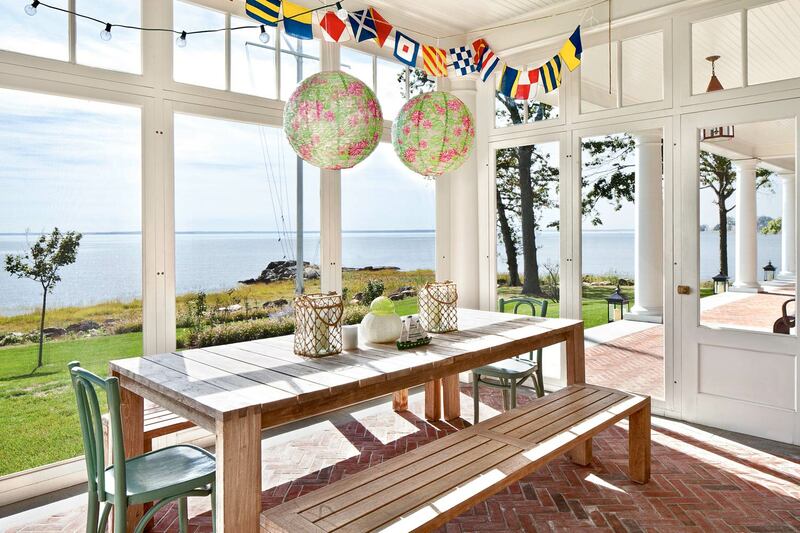 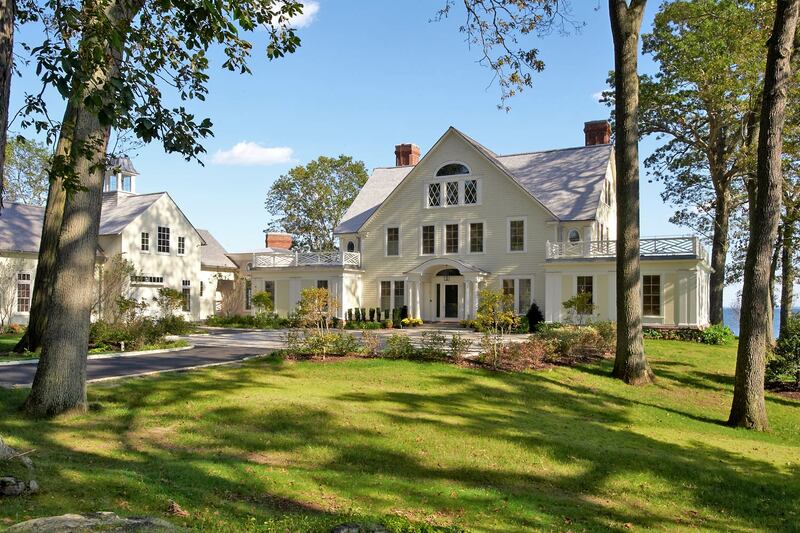 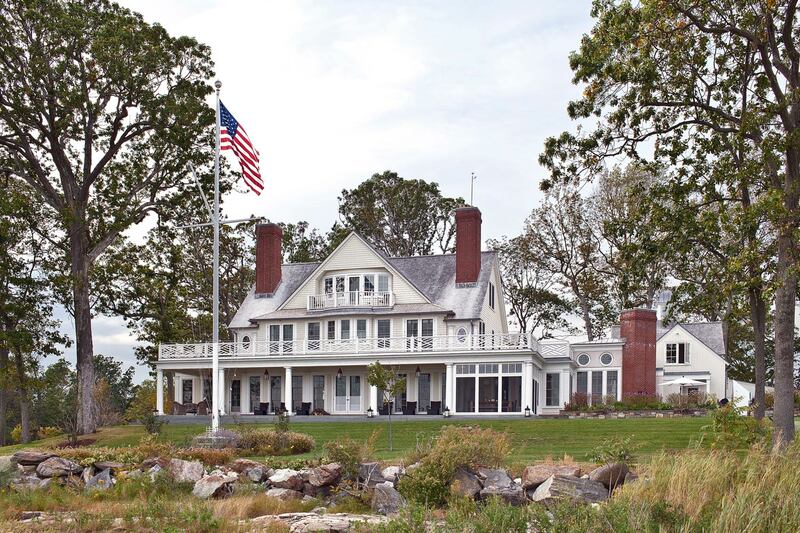 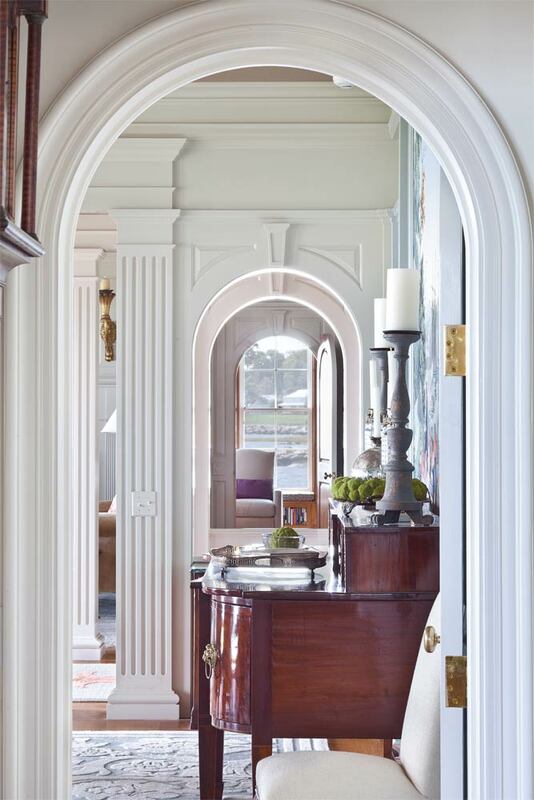 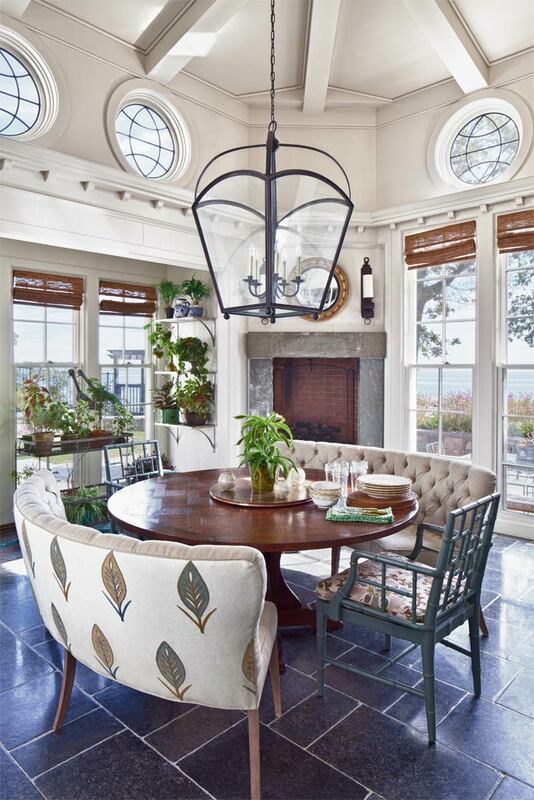 With views of Long Island Sound on one side and a secluded cove on the other, the design focus of the house is a traditional esthetic, one that recalls Shore Colonial Revival but accommodates 21st century sensibilities. 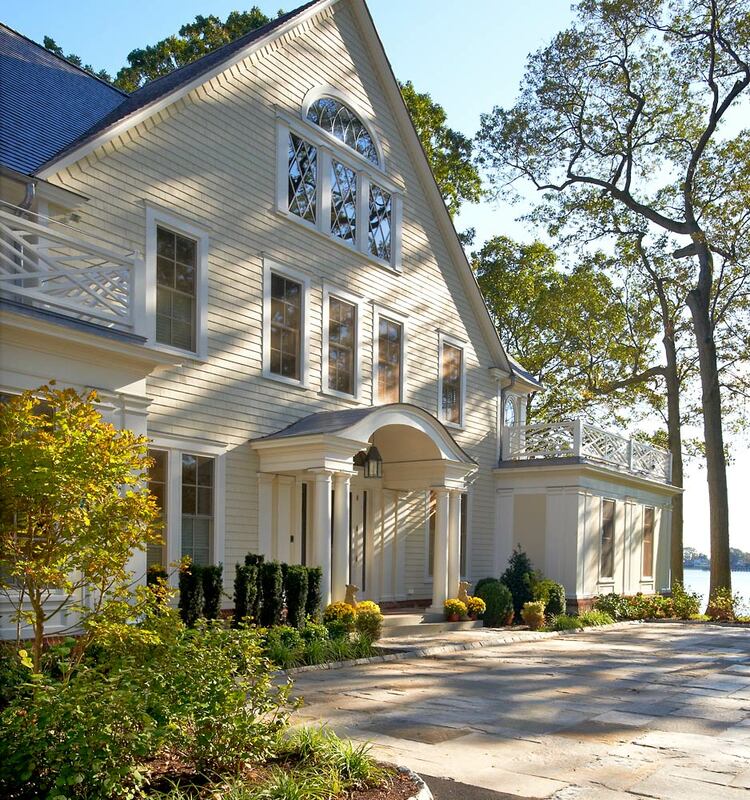 Maximizing water views, our L-shaped plan allows all public spaces to overlook the Sound; even the garage and exercise area offer modest views of the surrounding water. 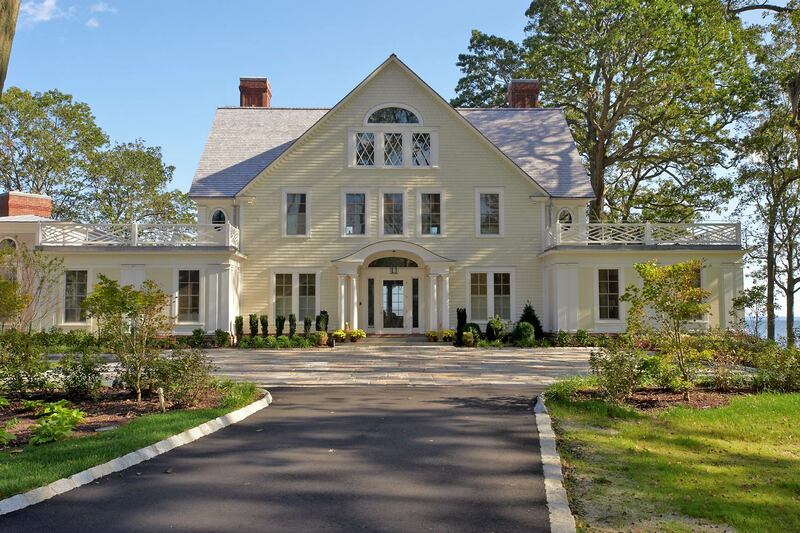 The simple vertical board-and-batten barnlike garage complements the 7,900 square-foot main house with its more formal presentation of columns, pilasters and diamond windows. 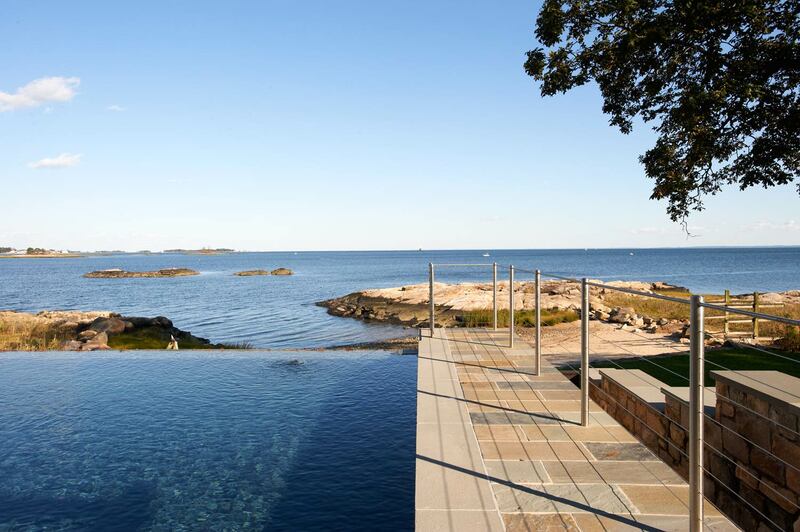 The property also includes a 1,716 square-foot guest house and pool house with an infinity pool bridging the ocean.